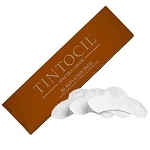 Tintocil creams are superior tints used by professionals worldwide. Tintocil unique advanced formulations allow the color to penetrate the hair resulting in a dramatic and long-lasting coloration. The difference between the types: Original Tintocil has a 3% developer in the box with the tint.Tintocil Vi-Vid must order the 7.25% developer separately. Tintocil Vi-Vid has also removed the ammonia in the formula. * Resistant to water and cosmetics. * Formula contains special conditioners. 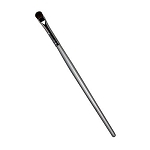 Using Tintocil is a quick, easy service that offers dramatic and long-lasting results they’ll love. Brow tinting is one of the most popular, profitable add-on treatments a beauty facility can offer. 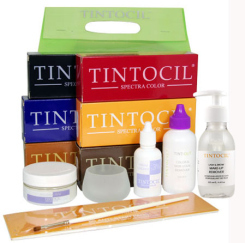 Tintocil has a wide variety of shade options and the tints can be mixed for customized looks. 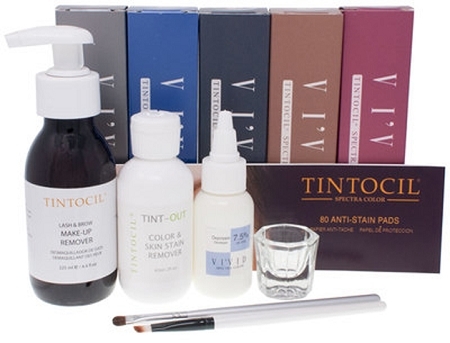 There are two types of Tintocil tint options, Tintocil Original and Tintoil Vi’Vid.Tintocil original has been around for decades and in each box has a tint color and a 3% developer; Tintocil Vi’Vid came out a few years ago and does not have any ammonia in the formula.When purchasing the Tintocil Vi’Vid the developer will also need to be ordered since it will not be in the box with the tint color.